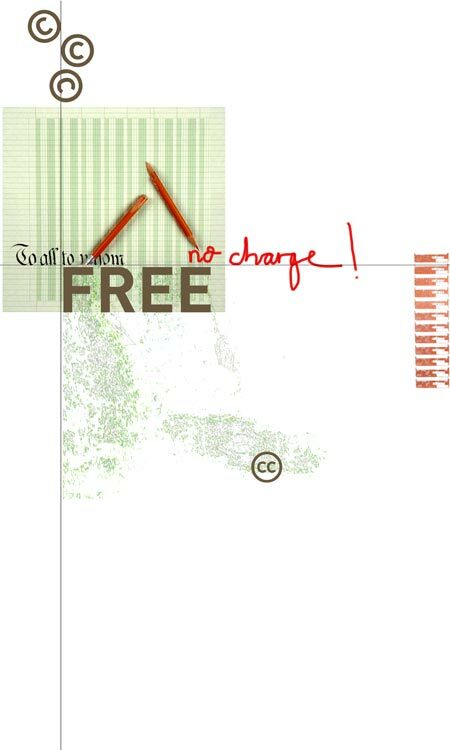 Creative Commons promotes the innovative reuse of all sorts of intellectual works. Our first project is to offer the public a set of copyright licenses free of charge. These licenses will help you tell others that your works are free for copying and other uses -- but only on certain conditions. You're probably familiar with the phrase, "All rights reserved," and the little (c) that goes along with it. Creative Commons wants to help copyright holders send a different message: "Some rights reserved." - Attribution. Permit others to copy, distribute, display, and perform the work and derivative works based upon it only if they give you credit. - Noncommercial. Permit others to copy, distribute, display, and perform the work and derivative works based upon it only for noncommercial purposes. - No Derivative Works. Permit others to copy, distribute, display and perform only verbatim copies of the work, not derivative works based upon it. - Share Alike. Permit others to distribute derivative works only under a license identical to the license that governs your work. 1. Commons Deed. A simple, plain-language summary of the license, complete with the relevant icons. 2. Legal Code. The nitty-gritty, specific legal details that pertain to your commons deed; the technical version of our deeds that represent your works legally.